The Fall Rome semester always settles into a rhythm in mid-September, with the Fall 2018 class delving into the class-and-travel lifestyle. 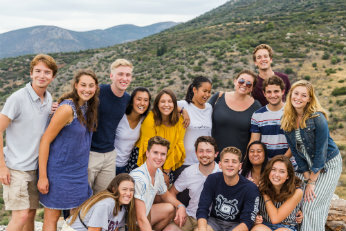 Students returned to campus on the 9th, eager to share stories from their first long weekend travels, which included overnight train rides to Vienna, Austria, swimming in Cinque Terre, Italy, and hiking right near campus around the volcanic lakes bordering Castel Gandolfo and Nemi. They immediately returned to their academic duties, submitting their first paper, an essay for Literary Traditions III, the next day. 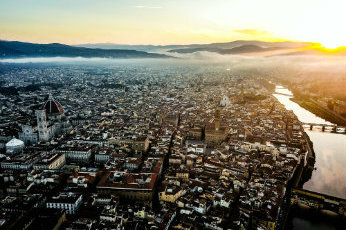 Tuesday and Wednesday saw the students going into Rome for on-site classes. On September 11, students visited the Esquiline hill for their Western Theological Traditions class. There they saw three ancient and historically important churches -- Santa Maria Maggiore, Santa Prassede, and Santa Pudenziana. Santa Maria Maggiore is one of the four “major” or Papal basilicas of Rome, while the other two are ancient house churches -- Roman residences used for secret celebrations of the mass when Christianity was still persecuted. On September 12, the class returned to the city and visited the Roman Forum and the Colosseum. The first of several Art and Architecture site lectures, the students heard lectures from both Dr. Elizabeth Robinson and Dr. Peter Hatlie. Students also heard a classmate’s recitation of the famous Shakespearean monologue of Marc Antony on the very site where Julius Caesar was cremated. Students packed their bags again at the end of the week for southern Italy, their first overnight class trip. On September 14, the class stopped at Montecassino to visit the famous Benedictine abbey that was tragically bombed by Allied Forces in WWII while the region was occupied by German troops. Students visited the rebuilt monastery and visited the tombs of Saints Benedict and Scholastica, the only parts of the complex not destroyed by the bombings. After Montecassino, the busses stopped at Pompeii, where students received tours of the famous city destroyed by the ancient explosion of Mount Vesuvius. That evening, students, faculty, and staff checked into their hotel in Paestum, a seaside town with ancient archeological sites. Saturday morning, the class took a boat tour of the beautiful Amalfi coast, stopping at both the town of Amalfi and the famous resort town of Positano. Students toured the towns, sampling the famous lemon products and seafood and had several hours for swimming before the boat ride back. On Sunday, September 16, students went to mass celebrated by Monsignor Fucinaro at a local parish then boarded the buses for the Paestum archaeological site. There, students saw some of the best preserved Greek temples in the world, and learned about the migration of Greek culture and influence into the Italy. 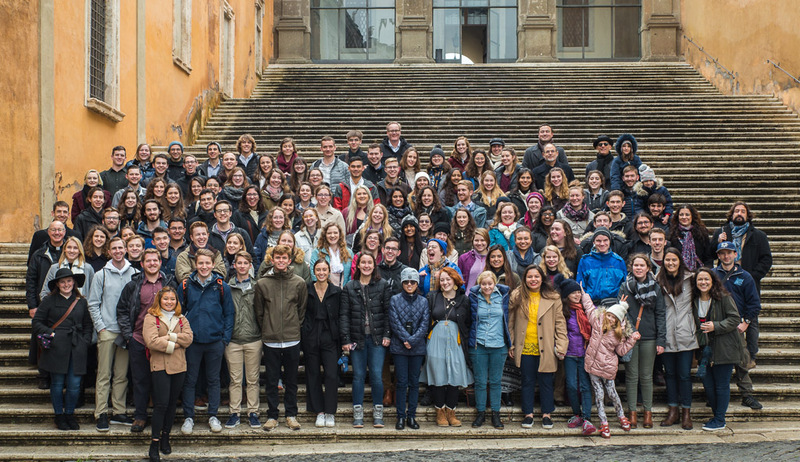 After lunch back at the hotel, the Fall 2018 Rome class boarded the buses and departed back to Rome.